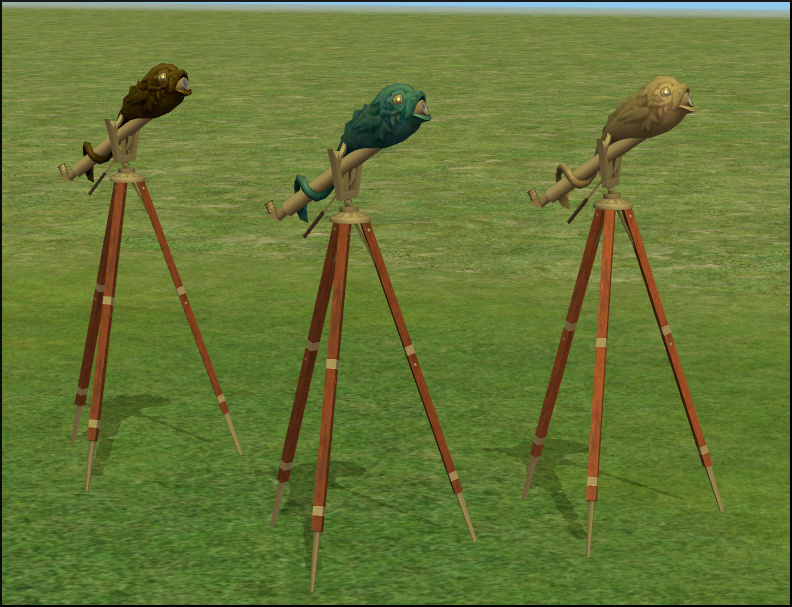 4-11-13 Fixed the basegame telescopes. 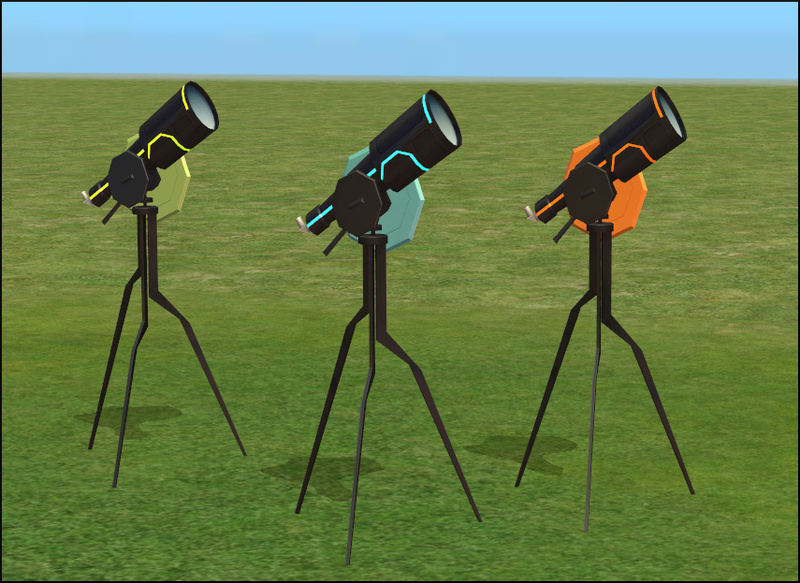 Sims were able to look through the telescopes during the day but the stargaze option at night was causing a jump bug. 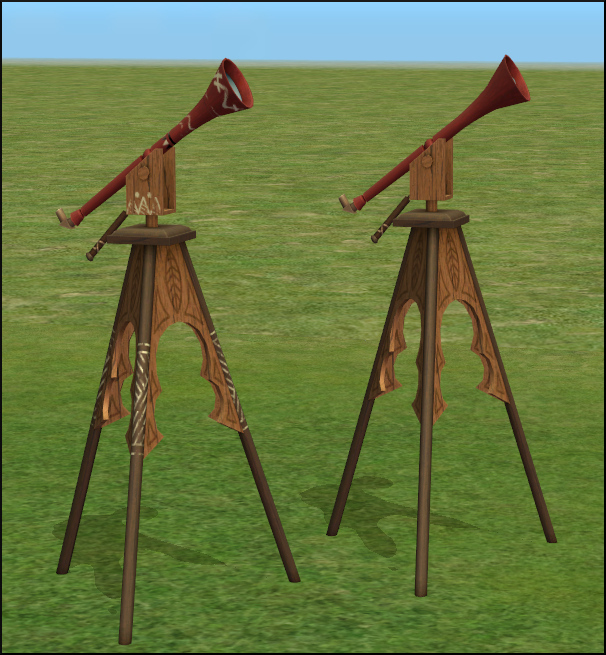 I also fixed the lens on the Morrigan's Star Gazer (Outdoor Living) for both versions, it wasn't assigned to a joint so didn't move with the telescope properly. Sorry for any inconvenience. 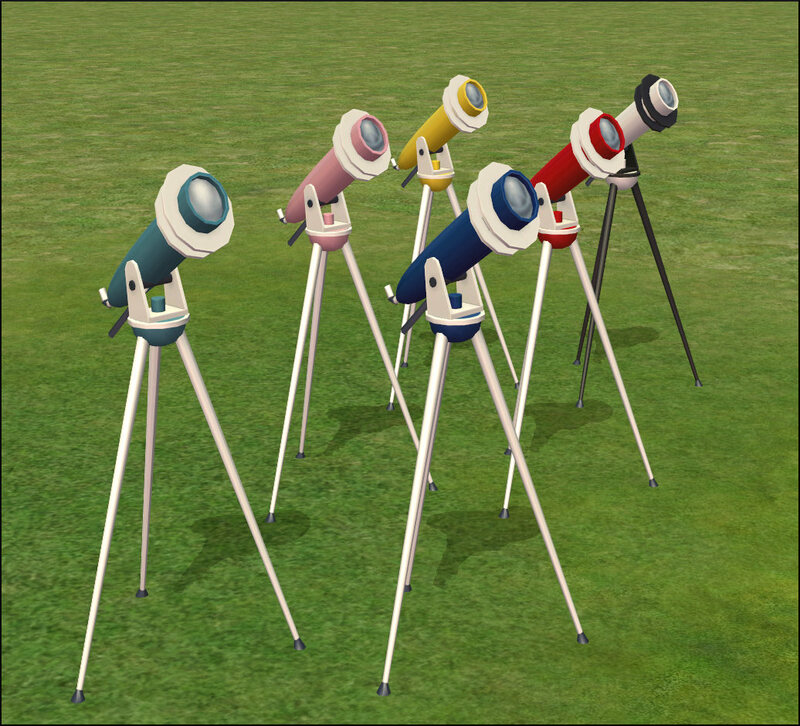 These were all cloned from the cheap telescope. 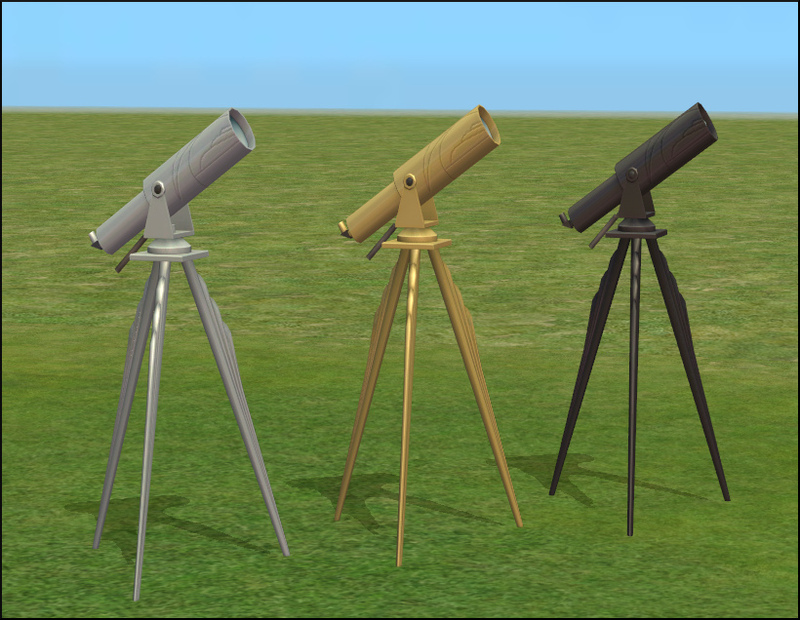 These are all the Sims 3 telescopes that I'm aware of with the exception of the steampunk telescope, Galileo's Observer, which has already been converted by Eva and is available at GoS. 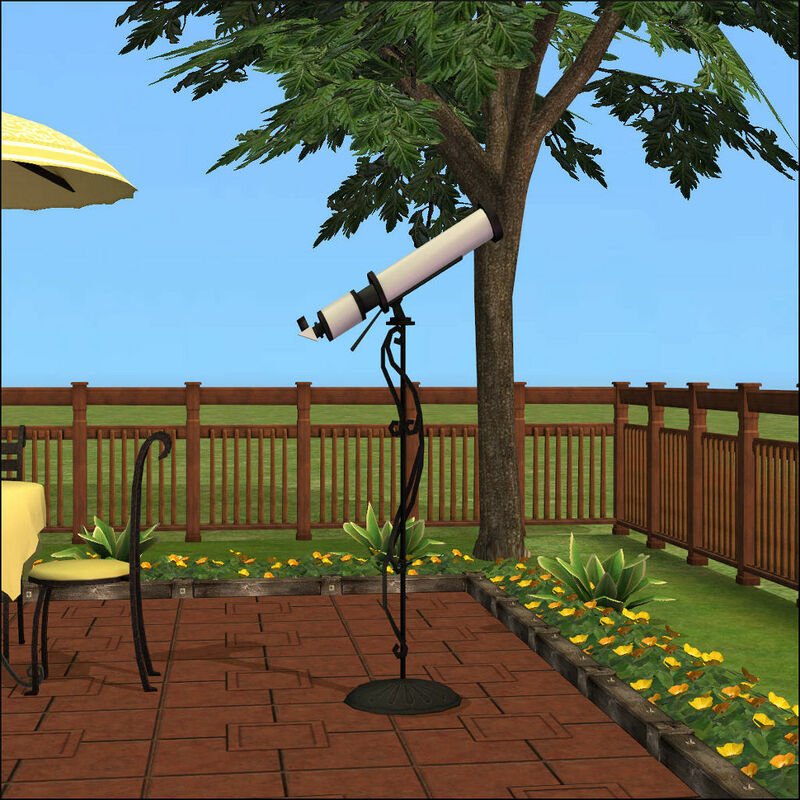 Bistro Set - The Outdoor Living telescope is colored to match. 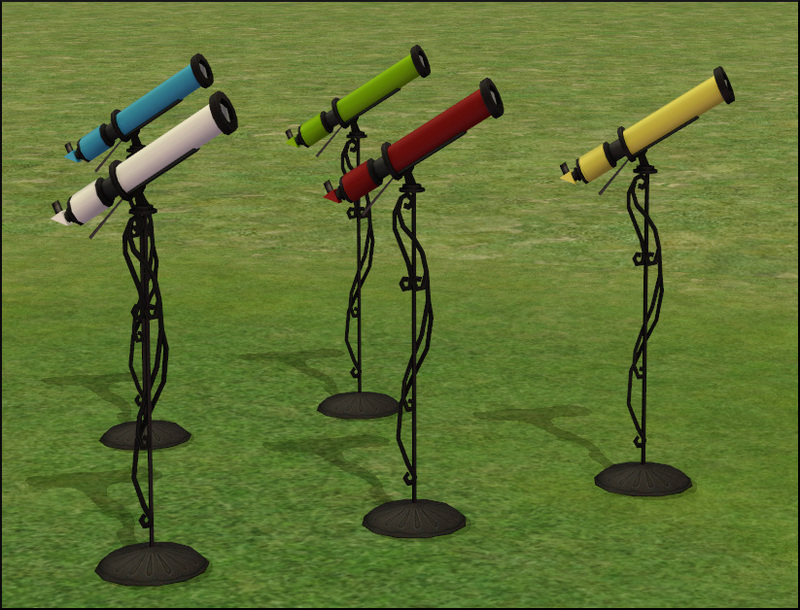 These are the poly counts for the Freetime versions -- all of the Basegame telescopes are 88 polys less. 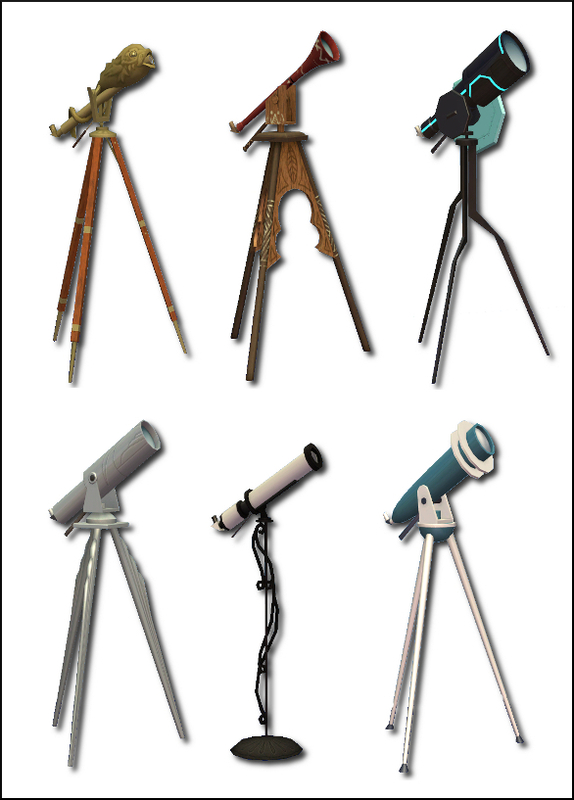 SimPE, AGS, s3pe, s3oc, Gimp 2.8, Milkshape, and EA for the meshes and textures. I'd also like to thank the TS3 to TS2 Conversion Database, I've been on a conversion kick lately (it's a sickness I swear!) and I use their site all the time. Its a great resource.